Our family-run country inn with bed and breakfast has been in business for over 40 years and comprises of traditional factors with a modern twist. Balnoon Inn is located within seven acres of land, which is ideal for our guests to benefit from our many footpaths for country walks during their stay. We're not far from bustling town of St Ives where there is more lovely scenery including the harbour and beach. Throughout the day our restaurant serves up great food whilst our bar stocks a wide range of fine wines and cask ales. We're a child-friendly establishment and enjoy serving those who return regularly as well as those who are new to Balnoon. Our friendly staff are always happy to offer advice and recommendations for local attractions and days out. There are no rooms available at Balnoon Inn for these dates. Pets: Pets are allowed at a charge of £5.00 per stay. fantastic Hotel with great staff and facilities for your furry friend. - I stay in a lot of hotels and this one was one of the best. Excellent hosts, Liam and Lissa make everyone welcome. We had a wonderful stay and nothing was too much trouble. We’ll be back! Breakfasts at Balnoon are amazing so you won’t need to worry about lunch! The location was great. It wasn't to far from the town itself- little short drive. Room was nice. Liked the little extra touches with the lovely coffee, milk from the cows across the road :) and the home made biscuits...very nice.The breakfast was lovely too with all local products used...nice touch. We had dinner in the pub on 31st and we just wish we did not eat as much during the day. The food was lovely. Highly recommend. We went to a lovely Spanish/Tapas restaurant (La Casita) about 10 minutes drive from Balnoon Inn. The food was excellent there. Highly recommend. Really nice visit. The inn was comfortable and clean and laim and lissa when brilliant host. Thanks for a great stay. We really enjoyed the firehouse restaurant and the sloop pub. Very friendly and helpful. We will definitely be back. Proprietors have got good local knowledge. Very dog friendly hotel. Hotel is a short drive away from At Ives. Absolutely fantastic friendly people. Couldn't do enough for us. Welcomed our dog as equally as us and even gave him a sausage for breakfast.....Woof! Just a lovely laid back place in a lovely part of Cornwall. Thanks Liam and Lisa for a welcome comfortable stay. Within 2 miles walking from St Ives centre but be prepared for a bit of hiking over styles and through gates and walking on roads.. There is no easy paved walk in. A change of management at this location this year. All is still good and food has improved. The hosts are very helpful and keen to make you stay as pleasant as possible. Whilst not in a seaside location, this is very close to lots of attractions on the Cornish peninsula. Really comfortable place to stay with excellent food. Liam and Lissa make everyone so welcome and really make the stay. They are also very knowledgeable on the local area and activities. Nice friendly staff offering a good and attentive service. Food in the restaurant was excellent. Set in a quiet location on the outskirts of St. Ives, it is ideal for a relaxed break. Extensive parking, a very well presented hotel. Very handy for St. Ives town but without the parking issues associated with St. Ives. There are plenty of places to visit, all within easy driving distance. Grevor Tin Mine is a superb visit to consider. Kynance cove is also a beautiful location. Fantastic stay. Really friendly staff and the food was great will definitely be back. Especially loved the coffee. The Hosts made our stay pleasant and memorable. Nothing to much trouble, in fact, customer service at the highest level. Thank you Lissa and Liam! Balnoon location ideal to visit St Ives, Marazion, Penzance. Other beauty spots such as Porthcurno, Lamorna Cove within a reasonable driving distance. St Michael’s Mount a must to see...tide out, walk across the pathway to visit a piece of historical interest. Liam and Lissa made us feel really welcome and couldn't be more helpful. Although Balnoon not in centre of St Ives, only a short taxi ride away from centre, the Balnoon Inn has special rates. Breakfast was great with plenty to choose from (full Cornish was amazing). Rooms were lovely with ample tea,coffee and biscuits and complimentary toiletries. Also had a meal in the restaurant one night great value and excellent food. Really enjoyed staying with Balnoon Inn. The service Liam and his team provided to us was amazing. I felt as if I was at my home. Superb service and care to the customers by the staffs. Once again a huge thank you for Liam and his team for the service and care they showed to us during our 4 day stay. Very dog friendly, clean room with tea,coffee and homemade biscuits! Breakfasts were excellent and if we return to the area we will definitely stay again. Although quite a basic room it was really large with lots of storage and exceptionally clean. A small but very sufficient shower cubicle. Lovely views over the Downs. Locally sourced coffee and tea. A small fridge would have been useful as we stayed for a week and the milk supplied didn't keep that well even in container given. The meals offered in pub were lovely and delicious but it would've been nice if the menu was changed slightly or specials offered. Breakfast was delicious especially the bread but more choice would have been nice ie kippers or salmon/eggs. Staff really lovely and we were made very welcome as was Ronnie our Labrador. St.Ives nearby is busy but beautiful with lots of lovely beaches with Bamaluz being the best dog friendly beach. Porthkidney and Hayle Towans beaches are superb. Carbis bay a lovely beach and well worth the early morning trek down along footpath! The train ride from Lelant Saltings to St. Ives is very scenic and well worth doing. The nearby Watermill and Countryman pubs are very friendly and serve good food. Very welcoming and spotlessly clean. Food was very good. We would definitely stay again. Very close to Penzance,Falmouth and St. Ives. Very friendly - good hosts. Maybe a breakfast menu would be helpful. Good parking facilities. we had a lovely relaxing stay, rooms were just right. the breakfasts are delicious as are the main meals. Staff very pleasant and helpful. The WATER MILL ST Ives was excellent a good menu with lots of local fish dishes. ST MICHAEL`S MOUNT and MARAZION Village is a must see. I find the people make a place, and the owners and staff were lovely and very accommodating and nothing too much trouble. All food and drink is locally sourced and very good. Rooms nice and always clean. Just a nice place to stay and stay stress free. When we stayed the new owners had only been there 10 weeks, so they have done a fantastic job so far, and I feel it’s only going to get better. Thank you so much. We really enjoyed your company. An absolutely delightful family. We really appreciate the review. Lovely friendly,cheerful staff. My special diet for breakfast was easily accommodated and the tasty evening meal was more than enough! Not far from St. Ives, but away from the hustle and bustle, in a peaceful rural tranquil spot! Slept extremely well. We stayed 7 nights and loved it. It. 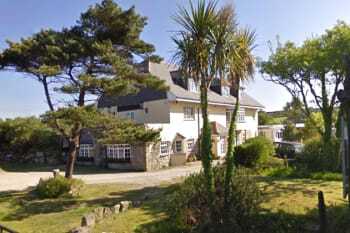 Is conveniently located for St Ives and many other attractions are within travelling distance. Lissa and Liam were both welcoming and made our stay very enjoyable. The breakfasts are amazing! Our room was comfortable and ideal for us. Lissa in particular is very knowledgeable about the local area and gave good tips on places to go and things to see and do. Plenty of pubs around for meals, although too many burger meals for us. Thank you, Paul and Suzanne. We really enjoyed your company and hope to see you soon. Thank you so much. Lovely to meet you and thanks for choosing us. I would recommend to anyone. Our stay was absolutely amaizing in this hotel and the food was just perfect. Our cat loved it aswell as we loved ut. Spotless clean room. Fresh air. Porthcurno beach was breathtaking. Don't firget your suncream. St Ives was beautiful as well. The HUB restaurant is very good. Try the fishing. You can get big nice fish to take home also you can go ro watch seals as well. great carvery, hearty breakfast, delightful patrons. great starting point to explore Cornwall. We stayed for 5 nights and from the moment we arrived Liam and Lissa made made us more than welcome and and gave us great advice on places to visit. They recommend the Minack Theatre as a place to see and experience and my god it was excellent. Liam and Lissa do a mighty breakfast with fruit, Cereal and a full Cornish which kept us going for the day. Lovely bar to have some local craft beers and local gins in the evening. The location suited us as we did a lot of traveling around Cornwall. We recommend visiting Minack Theatre, St Michael’s Mount, Tate Modern St Ives, Barbara Hepworth sculpture garden St Ives, St Ives bay, Padstow Town, Eden Project. The Driftwood Restaurant in Rosevine is excellent for fine dining. Really helpful, made us feel very welcome and the room was comfortable. Breakfasts were great, and a nice selection of drinks at the bar. If you're cycling, there's lots of hills. St Ives is downhill all the way, and uphill all the way back! Hand wash sink blocked, the same with shower. Wi-Fi doesn't work at all. Rest was amazing. Bed was comfortable, nice view, nice clean room. Delicious breakfast. Amazing staff. Unfortunately the Wifi did not really work in our room - the signal was very weak. Other than that it was a fabulous place to stay. We appreciated being wecolmed by friendly locals who made us feel very comfortable. Happy to help us get the most benefit of the interesting coastal attractions. Our room was extremely comfortable and breakfast and dinner were delicious. Ensure you try to investigate as many of the areas that Viv and Mike suggest to make the most of your stay. Wander the streets and explore what St Ives has to offer- there is something for everyone to enjoy. Restaurants Why go anywhere else than the Balnoon Visits - You are in Cornwall there is everything you could want. Food was excellent, staff were friendly, we had a lovely stay, thank you. This was such a beautiful hotel in an equally beautiful location. Staff couldn’t do enough for you. We were always spoken to like we were firm friends. The breakfast was incredible - I don’t think there were loads of rooms, so they could really take the time to get her to know the other guests, who were also lovely. This also seemed like a plus for when it came to breakfast as so there was no limp bacon in a bufffet style dish, it was all cooked fresh. Would definitely recommend and we would definitely go back. St Ives is a beautiful town just to walk around, with lots of really nice pubs and places to eat. Paradise Park is a bird sanctuary thats only a few miles down the road, which is definitely worth a visit. Fantastic hotel everything here was perfect,just wish we could of moved it a bit nearer to town for pubs etc as had to pay for taxis’s £11 each way,breakfast faultless room spotless,a real find. friendly, warm and very welcoming. Always helpful. Great food, only negative is the size of the showers. We thoroughly enjoyed our three night stay at the end of August.The owners were very welcoming and throughout our stay nothing was too much trouble and the whole experience was very relaxed. The food and service was outstanding. We have already recommended the hotel to friends and family and look forward to returning sometime soon. Thanks both! Follow the blue sky and you won't go far wrong for a highly enjoyable day out! This is our second stay and it was just as lovely as the first, really friendly and always beautifully clean. Be aware of 2 flights of stairs, but a chair to rest on first floor if needed. Restaurant worth eating in. Becks restaurant for amazing fish and chips. We had a very warm welcome,rooms was very clean and bright ,breakfast was filling and plenty of parking space. Places to visit land's end Eden project Michael's mount or just go to the lovely beaches and people watch . The Inn and Lodge was a great place to stay and relax near to St Ives. The Breakfast was fantastic. The choice of food on the evening menu was good and the prices were fine. The bar area is very clean and tidy. Long days on the different beaches in st ives. Lots of places to explore in the area. Enjoyed my stay thank you. Clearer maps re footpaths to and from St Ives, and clear information re availability of public transport would have been helpful. extremely friendly and helpful landlady, landlord and staff, cosy, lovely room, warm - hearted atmosphere, quiet place and great breakfast. I felt very much at ease! Take the footpath to Carbis Bay and the coast path into St. Ives! We really enjoyed our stay . Mike & viv were excellent host very friendly and accomadating , we will definitely go there again . Viv and her staff were very good and helpful with regards the local area. Bathroom was small and main sink was in the bedroom, however, not too much of a problem. We were near the road so there was traffic noise from 5.00 am, again not really an issue for us as we are use to it where we live. We enjoyed a quiz night and curry on our first night at a very reasonable price. We also walked into St Ives, it took about 30-40 mins. The train into St Ives is well worth it, just check on times, parking can be tricky as gets very busy at the station. Very friendly and helpful hosts. The breakfast dinner were delicious. We enjoyed the quiet room and the beautiful flowers around the location. St. Ives is wonderful at any time of the day. Maybe you even spot a seal in the harbour! We recommend for a day out: Tintagel Castle and Mount St. Michael. Terrific hosts Spotlessly clean & comfortable rooms Excellent food, beautifully cooked & bar facilities also. Ideal location. Wouldn't hesitate to recommend a visit either for food or a stay (I lodged for a week). Many thanks & best wishes to Viv & Mike. Enjoy the location - away from the street crowds. Some distance from other restaurants etc. Suited us! We had an amazing stay. All staff so friendly and could not do enough for us. Would absolutely recommend saying here and hope to be back again soon. Very very nice place to stay, the staff were excellent especially the owners, food was delicious and the place was spotless, would recommend! Very high standard of accommodation - room fresh, clean and spacious with good facilities, inc. TV. Welcoming hosts. Good choice of breakfasts. The room was also accessible anytime making it very convenient. Easy parking. Quiet and ideal location - including being very convenient for St Ives (5 mins drive) or Penzance. Very kind and attentive team. It's in a beautiful rural location approximately 3 miles outside of Saint Ives. Bring a car!! Visit st Michael mount, the minack theatre and beach there, explore and eat fish! You've got it right. A comfortable stay in an attractive place close to tourist spots. It's a hotel / guest house which has the right balance of old and new. A character house with clean, modern, welcoming feel after any journey, especially a long one. A lovely place to stay if you want a good mix of hotel and guest house. Although on a main road, it's situated in a quieter area within striking distance of St Ives and other lovely places. Balnoon staff are friendly, the place is comfortable and the food is pretty good too. Mike and Viv are great hosts very friendly and welcoming, the Balnoon is a lovely house in a great location just few minutes from St Ives , with ample parking and lots of space ! That is a premium and a blessing in St Ives , They also do a very popular Sunday Carvery which is brilliant ! but make sure you book a table as it is very popular , our room was very nice , well decorated clean and fresh. No complaints about the accommodation at all. It was clean & comfortable. The only drawback is that it is a short car journey from St Ives centre, however this is reflected in the price and it is easy to get a cab into town. Every taxi driver I had recommended the Sunday lunch there and whilst I wasn't able to stay for that I did have dinner one night which was delicious, as was the complimentary breakfast each morning. The best bit about the stay though was how friendly the staff were, the owner Viv seeming to take a genuine interest in her patrons and happy to talk about the local area. I would definitely stay here again and recommend others do too. Seek out information about the village lanes and bus transport to town - cheaper than taxis and quite invigorating. Very nice rooms, very good breakfast and a beautiful location. Wonderful hospitality, we was greeted with a warm welcome which continued throughout our stay. Accommodation was great comfy beds and lovely clean rooms. Food was great too especially the breakfast sausages. Carvery was lovely just like you would do at home. Will definitely come again in the future. There are the usual places to eat in st ives fish and chips and pub meals but we ate where we was staying at the balnoon inn cause the food was lovely and fresh and cooked nicely along with the meals being reasonably priced. Welcoming and friendly staff, excellent service, clean and cozy rooms. Would definitely recommend this place for visitors anytime. The Inn is located in a peceful area, a good half an hour walk from the centre of St Ives, so recommending a 10 min car drive and parking nearer the centre instead. There are several pay&display car parks in and around the centre. If you fancy a night in, I recommend a dinner at the Inn's cozy pub restaurant. Lovely stay at this lodge, Val and Mike really lovely family, food is excellent and accommodation very modern. There is a short walk around 30 minutes into St Ives through a public footpath, but it is a little overgrown, ok during the day but not if dressed up to go out for evening, no bus service but taxis are around £8.00 if you fancy a drink. Very friendly and helpful couple, breakfasts was excellent with plenty of choice. Evening meals were very good value for money too. Rooms were clean and comfortable, slept very well. Can drive in to st Ives and park at the rugby club for £5 for 24 hours. There's a bus to town if you don't want to walk. The costal road to lands end is a lovely route and fish and chips at st just is a must! Everyone was very helpful and keen to please, nothing was too much trouble. Excellent food served in the restaurant! Enjoy the many scenic and relaxing coastal walks. Very friendly n beautiful house with everything you need n only up the road to st Ives. Would def recommend n come again. Thank you! Very friendly with excellent food and drinks. The staff are very informative and helpful. Will definitely use again. Well located for all the attractions of St Ives and the surrounding area. A very pleasant stay with lovely and very helpful staff. The countryside setting is beautiful. The rooms were very clean and comfortable. A very welcoming and clean place to stay. Ran by a lovely couple with good local knowledge of the area. Breakfast is very good. The lodge is about 2 miles from St Ives. The food served is excellent value for money and the bar is a nice place to sit and enjoy a drink. We also enjoyed a meal at the Watermill just down the road. Great hosts and great place! Ideal for people who do not like the crowds (at St Ives) and love the English countryside! Quiet and green, even if 10 minutes away from the beach and museums. The owner and staff were very friendly and the food was very good. A lovely location, and a beautiful room. Very accomodating throughout our stay including providing with a pack lunch, as I was having to be out too early to catch breakfast. We would definately recommend staying here and we will be staying again next time we are in the area. We were down for an horseback archery competition so didnt get chance to visit too many other places but we would definately visit again as the location was lovely and close to lots of different things to do including close to the beach! Ideal location for exploring this part of Cornwall including St Ives. Loved the setting. Everyone very friendly and welcoming. Excellent food and good value. comfortable and warm room with lovely view and all facilities. I guess the basin and ensuite were bijou but it was not a problem for me. I would definitely recommend this place and would stay again myself. Mike & Viv are great hosts and there staff are very nice and helpful , good all round place to stay . Had a wonderful stay, Viv and Mike were wonderful hosts. Very good hotel, good place to spend a stay. Just it hace to improve internet connection in the rooms. Mike and Viv have done an exelant job on the renavations. The Lodge and rooms were in exelant condition. They and the staff made us feel at home. Will definitely Go back again. The hotel is well placed for access to all the usual tourist sites on the peninsula. It's a way from st Ives station so would suit those with a car better, but still consider if you are happy to yomp or use other transport options. Excellent value for money. Not ideal if you prefer not to drive as not on a bus or rail route and the road isn't ideal to walk on. Accommodation was spotless and newly decorated. No lift to 2nd floor and tight stairway with luggage. Grounds very pretty. 50 minutes walk over the moor to StIves. Ask the landlady Viv the way and she will provide directions. Walking over the moor from Balnoon. The Balancing Eel for fish and chips in St Ives. Porthminster Cafe for morning coffee and the view across the bay. A very friendly and comfortable Inn which was very convenient for our travels. It is a very quiet and restful situation on the Downs but easily access to St Ives and other attractions. The food was excellent and beautifully presented. A special daily menu was also available. A very friendly and comfortable place; the owners are most welcoming and ready to help. The room I stayed in was very clean and well appointed. If you choose to dine in the inn, the choice is good and the food very well prepared. If you are touring in the area, I strongly recommend a visit to St Michael's Mount - just a short drive down to the south coast. The coastal path between St Ives and Zennor is a fantastic walk if you feel energetic, and the Tinners Arms at Zennor well worth a call. Great to stay here again. Fantastic location and beautifully presented throughout. Excellent facilities and Mike & Viv are lovely hosts. Food is as good as you'll get and priced very sensibly. Staying here is a pleasure. Probably the best point from which to explore the West Penwith peninsular and some of the finest countryside and coast walks in Cornwall. Friendly and welcoming food good too. Could do with somewhere to hang towels in bathroom though. Refurbished bedroom is very comfortable and the desk is really useful if you are on business and need to work. Very friendly staff, lovely breakfast and exceptionally clean .Would definitely recommend it if you're looking for somewhere in this stunning area of Cornwall without breaking the bank . A great location, easy to find and ample parking. Room was clean and spacious. Great food and service and very friendly, welcoming hosts. Very close to A30 so very easy to get around south Cornwall. Restaurant in lodge does great food at very reasonable prices. Carvery on Sunday. Very nice place, friendly owners, lovely food. The place is very clean and the location quiet the owners are great as is the breakfast, the bar and restaurant got busy and had a good atmosphere, the carvery on Sunday was excellent as was the curry and quiz night I advise booking to avoid disappointment. The locals use the place so what more of a recommendation can you get? My stay with you was very pleasant, I will keep you in mind for the next time I'm down your way with my family. Thanks! Would go again lovely location and very friendly and welcoming place to be. Facilities were excellent only the size of room and en suite stopped a perfect mark. We didn't stay local during the day. Very good for walking and close to the coast..
A lovely family run Inn, comfy rooms and good food. Viv and Mike are good hosts and nothing is too much trouble for them . Lots of good walks in the area and some fabulous beaches to see. Make sure you have a camera. We have stayed here two years running and really like it, there is plenty of parking, adequate clean, pleasant rooms, great breakfasts, beer prices are excellent and the whole stay is relaxing. St Ives is just down the road, we might try walking there one day! Take some time to explore Lands End, walk a short way from the "tourist" centre and you will see some spectacular coastal views. Try mackerel fishing, it tremendous fun. Buy a wet-suit and enjoy some time in the sea. Room was lovely and clean, bathroom very basic and could do with modernisation, however, the price we paid for room was fantastic. Breakfast amazing and felt nothing was too much trouble. St Ives is an a amazing place to visit, just be careful how you plan your journey and maybe avoid going through the centre as streets very narrow and traffic very busy in school hols. Good location, dated bathroom with poor shower pressure but comfortable bed and friendly staff although slow service in the restaurant. Friendly service. Easy parking. Free WiFI available. I enjoyed my stay. Yellow Canary in St Ives for sandwiches. Very friendly staff food very good,could have a wider choice for break fast fruit and yoghurt for a healthy option. Friendly, helpful staff, good breakfast, spotlessly clean. Comfortable room with pleasant view of field and trees. Within easy walking distance of bus route between St Ives and Penzance. Very welcoming, lovely staff, easily located and well positioned to get to many towns, beaches, etc. Stayed for 6 nights, having not been sure as to what to expect based on old tripadvisor reports, thankfully the Inn has been taken over by Viv and Mike who are a lovely couple and intent on making the Inn a success and keen to ensure their guests enjoy their stay. They are approachable and always willing to chat without being interfering. The rooms are freshly decorated and kept very clean. The en-suite is small but this is pointed out on their website. The breakfast is extremely good and well cooked. We only ate one evening at the Inn , and once again the food was excellant. Should you stay over the weekend suggest you book for sunday lunch as, not surprisingly, it is very popular. Staff all friendly and helpful. To be honest we ate in other pubs/restuarants and quite frankly none were better than the Inn. It was a very good stay, near St Yves. We really enjoyed our stay, friendly hosts, good food, comfortable accommodation and nothing was too much trouble. my tip for travellers is this is the place to stay if you are holidaying in this area. Very friendly and helpful. A good location if touring, but we needed to be in St Ives as no car, so that's why I've put 3 for location. Only one night up there, but St Ives has 2 lovely café/restaurants: Portminster Beach café and also at Portmerron Beach. Reasonable rates. Lovely breakfast and tasty evening menu, again very good value. Friendly staff who were very attentive. We were very happy with our stay. Viv & Mike were very friendly & hospitable. The staff were very friendly. A very enjoyable 4 days. The Restaurant at the Inn & Lodge at Balnoon was very good & food was excellent.We had 2 meals at the Badger in Lelant, they were very good. Great stay again, look forward to the next time. Lovely friendly staff and knowledgable of local area. We will back to try the Sunday Carvery. Wonderful area for walking and exploring St Ives and Carbis Bay. Very welcoming hotel small friendly and very comfortable. Nice bar area good breakfast and evening food menu available. 3rd stay and would definitely stay again. Friendly, welcoming, clean and excellent food, with good value all round. Looking forward to our next stay at the Balnoon. I recommend Truro, St Ives, Carbis bay and Porleven. Truro for the shops, St Ives for the shops and beach, Carbis bay for the beach and Carbis Bay hotel do a lovely Cornish scone and cream tea. Portleven pretty harbour town with the best pasties at the Horse and Jocky. Best breakfast ever in Cornwall! Very nice Location. We enjoyed it really and had lovely days. Thank you very much! Walking distance to St Ives. Clean bedroom. Basic breakfast. Good rates. Mike & Viv the proprietors & their staff made us feel very welcome.Room was nice with lovely view.Restaurant was excellent with good choice of menu. 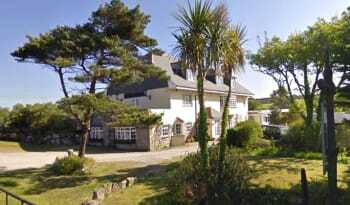 Good access to all resorts on north & south coasts of Cornwall. visit some stunning gardens of real Cornwall at Bowl rock in Lelant Downs , plus the lane . They open their gardens to raise money for much needed funds for hospices. Stunning and beautiful .. check it out! Also, for sun, sea, sand: Carbis Bay, Porth minister, porteath, Gwythian are beautiful if St. Ives are too busy.. welcome to all..
A really warm welcome and great service throughout our stay. Good food at the bar and the rooms were spotless. Very nice staff, fantastic food and good location definitely worth a visit! Very welcoming and friendly owners and staff. Our son and his partner brought their 3 month old baby and a nice touch was when they were eating their meal, and the baby was crying, the owner walked with the baby so that they could eat. Very accommodating, lovely meals. Perfect place to stay, clean, friendly, welcoming and accommodating. A perfect location to travel from ,is in a very peaceful spot but also has easy access to main roads. Viv , Mike and staff went the extra mile to make sure our stay was enjoyable. Their customer service was excellent. Would definitely stay again. We really enjoyed our stay, and the owners and staff are very friendly. Will be back. Please make sure you eat in the Lodge restaurant, you won't find anywhere better and it's very reasonably priced and suitable for everyone. Our favourite places are the beaches of St Ives , crystal clear blue sea and perfect golden sands, great facilities and gorgeous local bakeries make it even better! Very hard working owners who go out of their way to please. Good food. Very comfortable bed, far reaching rural views, excellent food with warm, professional service in a most delightful setting!!!! Good travel stop, near enough to but avoiding St Ives busy traffic. Lovely friendly place to stay ,made to feel very welcome and viv and Mike very helpful about the area. All good but could do with a cheaper access to town. Coastal walk from Saltings to St Ives is stunning. The owners of the Balnoon Inn and Lodge are among the nicest, friendliest people I have stayed with in over 30 years of touring around the UK. The location is excellent for exploring the west of Cornwall and the food is of the highest quality. It's also a peaceful location. Depends on your interest but there is plenty for all kinds of tourist in the St Ives area, from the famous art galleries to surfing, coastal walks, ancient history (Chysauster). There is also a vibrant local music scene. The host's were lovely, the food was delicious and the room was comfortable and spotless , what more could you want? We would definitely stay here again. The lodge is in a beautiful setting and they serve delicious meals at a very reasonable price. Easy to find in the dark! Lovely location and country views. Clean room, friendly owners, and a very nice cooked breakfast. Good place to stay if you arriving late but heading into St Ives the next day, as there is lots of parking space and not much in St Ives itself! tasty hearty food, comfortable bed....never slept so well! Geevor/Levant/Botallack mines are not too far away, definately worth a visit. Handy footpathes from Balnoon Lodge to St Ives and the amazing coastal footpath. St Ives museum....full of local history, a proper musem! The place was exceptionally clean as was the room, the staff friendly and the breakfast brilliant, a local resident recommended the place to us which counts for alot to me, we will return there again as will all our family, wonderful place. Very friendly and helpful staff, they helped us to our room with our bags in the pouring rain! The room was spacious and very comfortable. Food was great, especially the breakfast! The only downside is the phone signal is not great, other than that we really enjoyed our stay. Only a short drive from St Ives, which has a lovely sandy beach, great shops and fantastic pubs and restaurants. Thanks for my short stay. I felt very welcome and intend to come back for a longer stay next time. Viv and Mike are a really nice hard working couple. They are very friendly like all the staff are very clean and very good food. I wouldn't think twice in recomending the balnoon to anybody. Even though you haven't a sea view you will enjoy the space you have with being out of town. St ives is only 10 mins away in a car or a nice 30mins walk. I will definitely will be going back next year. Excellent value for money. I was made to feel very welcome. Plenty of parking. Free WiFi. Restaurant was good value. Viv, Mike & staff, work hard to create a home from home atmosphere. Very relaxing place to stay. Too many to mention. Impossible to be bored. So many places to visit and enjoy. Shower facilities a bit small but not too much of a problem. Use the Train park & ride services to go to St Ives. Saves a great deal of hazzle in driving and trying to find parking. We thoroughly enjoyed our stay and cannot speak more highly of the Lodge and our hosts. Plenty of parking, which is novelty in this area, quiet, pleasant rooms, great breakfasts, cold beer, really easy access to St. Ives itself and perfectly placed for exploring further afield. We will definitely return. Get out on the water, try a kayak or go sea fishing. Great fun. very good so near to St Ives.Lots to see and do. Excellent 2 night stay. Food was excellent a very good standard and reasonably priced. Would be very happy to stay there again. Fantastic hotel. Very warm welcome, staff very helpful. Good facilities and good food. All in all a very nice stay. A short walk into St Ives with a bus back. A very warm welcome, great food and excellent value for money. Too many to list if you visit St Ives there is an abundance of things to do and places to eat fine dining and budget, the surf school was what we did while we stayed, which was great, and we were handy for lots of places nearby, mouse hole and pad stow both worth a visit. Lovely helpful staff, great breakfast, secure and tidy room. The free bus to/from the Balnoon Lodge to St Ives town centre was a bonus as I didn't have a car. We stayed at the Balnoon for a mini-moon following our wedding a week before. The venue was excellent; the rooms were really good and had all we needed. We only had breakfast for one morning but it was a nice full-english. We had an evening meal there on the final evening; the steak was well cooked and the lasagna was tasty though very rich. All the staff were friendly and helpful. I would definitely recommend the Lodge at Balnoon to friends planning a trip to St Ives. Check out St Michaels Mount and make sure you take the train park and ride to St Ives itself, even if you drive as the views are fantastic from the train carriage. The cooked breakfast was super! Excellent location for exploring west Cornwall. Be sure to go to Cape Cornwall, ten times better than Land's End. Lovely B&B just outside St Ives. Very friendly and helpful staff, very pleasant room. We are recently back from a stay at the Lodge at Balnoon and have had a great time. Mike and Viv were great hosts and the food in their restaurant was especially nice. Overall a great experience and great value for the money paid!! Enjoy my stay. Staff was very helpful and friendly. Close to St Ives and Corbys Bay. Very friendly and helpful staff. Rooms were spotlessly clean and excellent food in the restaurant. Lovely area to stay in if you plan to tour around. I found the place neat and clean to the point of everything being newly decorated.The staff were friendly and attentive. Quietly situated but within reach of places on both coasts. Very friendly, nice welcome and atmosphere in the bar excellent breakfast. Very clean rooms and friendly staff. Breakfast very nice. Wish that we had a evening meal as the menu looked very nice. be good for a iron to be available for guests even if it is 1 for all rooms. Location ok but not in walking distance of St Ives sea front and town centre, which we thought it would be. Taxi £9 one way but when u pay the extra to stay in the centre and parking fares, this is not a bad expense. Try the evening meal as it looks very nice and reasonably priced. nothing was too much trouble, we had a very pleasant stay. Friendly and warm welcome along with very approachable bar staff and excellent food made my stay very enjoyable, I will definitely return. Excellent week. My one bedroom stay was super, cleaned daily. Lovely and peaceful.I will certainly return. Lots of nice shops and restaurants in St Ives and a beautiful beach at Lelant.shh don't tell anyone. Amazing cakes at the sculpture park near Penzance. We stayed for a long weekend and our stay was wonderful. The room was clean and welcoming, the breakfast was very good and the two dinners we had there were excellent. Everyone, from the owner down to the bar staff and waitresses were very pleasant and friendly, going out of their way to be helpful. If a restful break in a lovely little country hotel is what you're after, then I would recommend The Lodge wholeheartedly. We didn't eat out because the food here was so good. Use the train park and ride if going to St Ives, as the parking is bad,Lands End is now very commercialized and only good if you have children who want theme parks and shopping villages. However, at Zennor is a little gem of a museum and a very good cafe, a pretty,unspoilt village. Also, the bay at Porthcurno, with its beach of crushed shells and turquoise water is the prettiest imaginable. Friendly and helpful staff. Good food -well cooked. Nice ambience.Could do with a rail in the bathroom. Be aware All rooms are upstairs.Close to all main attractions but a quiet spot to come back to. Family run hotel...so helpful and friendly. Extremely good value for money, very pleasant atmosphere. Hearty breakfast and good evening meal. I would stay there again. St Ives so close...a paradise of a harbour!! Golf nearby. First time in cornwall had amazing time here the hotel was located within reach of everything and only 5 min drive from st ives which was great ! bedroom was lovely overlooking the countryside we got a real feel for st ives and think we fell in love with it more then what we thought we would ! Food was amazing full english every morning and coffee was yummie . And dinner and derserts was lovely . Couldnt asked for a more of a perfect place Thanks for great memories . I thoroughly enjoyed my Stay at the Balnoon, the staff were all very pleasant and accommodating, the food was fantastic and the atmosphere relaxing. I would definitely recommend visiting here, whether it be for a beer and a meal or as somewhere to stay. If you aer staying here, their own food is fantastic and there is no need to leave! Nothing but praise for this family run establishment. Welcoming, friendly, helpful and hard working to give you the perfect place to stay. I wish you many years of success, good health and prosperity. very friendly owners, mike and viv. Fantastic location for visiting and sightseeing in southern cornwall. Great restaurants in St Ives and only a few minutes drive into town from the Balnoon Lodge. We enjoyed meeting you both. Thanks for the positive comments and for sharing with us some of your own experiences from running similar establishments in the past. We hope to see you again in the future. Nothing is to much trouble for ether of them and my room had everything the traveller could want, spotlessly clean, quiet,great breakfast, loads of tea and coffee in room, internet,parking,lovely comfy bed and then you wake up to birds singing outside, perfect. My advice is book the Balnoon which is just outside of St Ives, you cant beat the price, its amazingly cheap for what you get. Don't stay in the centre of St Ives as its a nightmare if you have a car. The only negative I could find is I had room 6 and there was no place to hang my towel in the bathroom, I'm being picky but its the only negative in my stay. In St Ives, Tate and defiantly go to the Hepworth Museum, Porhtminster Cafe for top-end food and great beach and view. St Michael's Mount,take the boat across and look around the house. If you do one thing go to the Minack Theatre, its cut into the cliff face and they do live theatre in the night with the waves crashing below you and a back drop of more cliffs in the distance its unbelievably beautiful, breath taking. We are glad you enjoyed your stay and enjoyed meeting you. Thank you for your honest and useful feedback; we have added towel hooks for future guests to use in room 6. It was good meeting you and your family. Thanks for the feedback about adding a children's play area; we are currently investigating this. Hope to see you all again in the future. Really nice hosts, location and relaxed atmosphere. Appreciated tips on the local area,good footpaths etc. I thought my single room was very good value for money. The only thing I didn't like was the plug in air fresheners that I found overpowering and was allergic to but this was easily resolved when I mentioned it. The cooked breakfast was up with the best and gluten free was provided from day 1-thank you. lovely coastal path walks and the Tate is well worth a visit. We really enjoyed our stay at The Lodge. It was a lovely place to stay and the bar was a nice place to sit in the afternoons and evenings. It was a good location for exploring South West Cornwall and getting to St Ives. The owners and staff were very friendly. An easy way to get into St Ives is to park at St Erth station in the morning and then get the train to St Ives. It is a lovely scenic train ride and only takes about 15 minutes. But you would probably need to get there early - we parked at 10am and there was plenty of space to park but by the afternoon the carpark was full. Walking down to St Ives from the Lodge is also a good option although we didn't try walking back from St Ives to the lodge as it would have been all uphill. We got a taxi back instead. Nice friendly venue and people ! Would recommend as a place to stay ! Not central to St Ives but that's not such a bad thing as you have a short travel into the town it's self but are also out of the way of the bustle! A great venue for a relaxing base to visit places within the south of Cornwall !! Good value for money ! Restaurant within the premise itself ! Good food well cooked! Plenty of nice areas around to visit for those day trips out ! Mike & Viv made us very welcome. The food was so good that we never went elsewhere for our entire stay. Very accommodating ! Lovely people! Thank you for making us welcome ! A little out of St Ives but that is a plus point! Large bar area within ! Also a lovely variety on their menu to cater for most peoples need ! Once you've had a day out touring about its nice to chill out with a meal and a drink ! The restaurant is located about 2 miles from stives town centre but on a beautiful sunny day there is enough space in the garden to relax and enjoy the sunshine. the rooms are decent size but the reason to recommend is for the lovely owners of the hotel. If you like eating out there is plenty of choice in west Cornwall. We ate at the Balnoon a couple of months back and would certainly eat there again when we are next in the area. If you like waking there are miles of coastline to enjoy. A couple of miles outside St Ives itself so you'll need to eat at Balnoon or travel a little to eat. Hosts were very helpful, and made me feel welcome. After having to visit the hospital: they went above, and beyond to make sure I was 'ok'. Ideal location close to St Ives and without all the associated problems of parking and too many people! Excellent full English breakfast and good clean facilities. Super country accommodation at a very reasonable price - well worth visiting. Very friendly owners who make visitors very welcome. Great location and scenery, plenty of walks nearby and only 2/3 miles from St Ives! Top quality surfing breaks nearby, what more do you need?! A very enjoyable weekend break, very friendly and welcoming. I thoroughly recommend a visit! Stayed with Mike and Viv for 6 weeks and I can not fault them the bed was comfortable, Breakfast was excellent, good wifi connection, their restaurant was good and nothing was to much trouble for these great host's. Perfect location in easy distance of everywhere we wanted to go and still far away enough to be peaceful. The room was lovely and the staff were very friendly, welcoming and made us feel at home throughout our stay.Beautiful surroundings and overall we thoroughly enjoyed our stay! Wouldn't hesitate to come back when the Summer weather arrives. St Ives is only 10 minutes down the road by car. The harbour is lovely and the town is quite busy on a nice day. We followed the parking signs past the harbour and parked by a beach, where in seconds of being there we spotted 4 seals, was amazing. Carbis Bay is also 10 minutes from the hotel and I would strongly recommend going there, the beach was gorgeous and doesn't feel like an English beach at all. Enjoyed our stay but would have liked a comfortable chair in the bedroom for reading purposes. Bit chilly in the bar but obviously difficult at this time of year. Hope this is helpful and not considered as criticism. Very friendly and enjoyed our chats. Lots to see and do in St. Ives. We enjoyed the coastal walks and country pubs. Good central location. Thank you for the comments and constructive views. The idea of a comfortable reading chair in the rooms is a good one and we will look to introduce this asap. You were unlucky to stay during the coldest few days of the winter to date and yes we were annoyed that the heating system struggled to keep our bar area warm. Since your stay we have worked with a local heating engineer and hopefully some planned changes to the heating system will improve the temperature in the bar during future cold evenings. Stumbled across this place while on business in the area, really glad I did. Large parking area and landscaped front garden leading up to well maintained building. Once inside you are greeted by owners Mike & Viv, a lovely couple, very professional and informative. Bar and resturant area is spacious, light and modern. Good range of drinks at the bar and excellent food. Rooms are clean and well set out with large en-suite. Breakfast is one of the best I have had for a long time with a good selection. If you are visiting St. Ives, Penzances or West Cornwall make sure you try here first. We are glad to learn that you enjoyed your stay at Balnoon. We hope you come back again in 2015. For future customers who may be reading this we feel that it is important to point out that most rooms only benefit from a small en-suite. picturesque countryside to explore with superb views. A short drive to the stunning town of St. Ives and beautiful beaches. It was our wedding night and the room was perfect for us! The staff were fab made the room so special! Thank you so much. I had a brilliant stay here, it was very clean and very pleasant the bar,room and meals were very good also,i couldnt fault the place. Many thanks. Very helpful and kind, thank you Viv and Mike! Check out the old tin mines! very friendly people, service fantastic food first-class lovely rural location , within short driving distance of st ives and other attractions. Beautiful location with easy access to St Ives. Well maintained property. We had a one night stay and were made very welcome. Garden lovely. Beds comfortable. If anything would suggest making the en suite bathrooms slightly larger. Very central for access to St ives, Penzance, the Minnack theatre, Mousehole and so on.